Here’s a quickie little back-story—I’m tone-deaf and monotone(1) when it comes to musical hearing and singing songs. The short synopsis of a long younger-life story is: in grammar school I was instructed to just move my lips during mass hymns, and in high school I was excused from Gee-Club (not a small concession for the time and environment) So, you get the picture—music is not my forte. But lyricism in writing is something I can hear. And feel. I think lyricism is more complicated than my explanation—but it’s the best I can do so far. It’s the juxtaposition of short sentences, long sentences, paragraph breaks, even scene breaks that carry our minds forward. Sing to our minds. Pleasant to the ear—reading wise. It’s the mechanics, (or is it the art? ), of intermixing heavy and tedious words or sentences with the short and snappy. For me, it’s also a kind of a coaxing music that moves me along in the story. It’s that little “something” that makes you want to keep reading, keep listening to the author’s song. Regardless of whether a good or bad story. And for me, it’s often very hard to do—but when it’s there in other’s writings—easy to hear. In the final edits I do make a lot of changes to try to make my writing “sing.” Especially since I’m habitually fond of writing long and tedious sentences. Not sure if “literary lyricism” is a craft-of-writing kind of thing that can be learned, or a talent you either have or don’t. Sure hope it’s at least an improvable skill. And indeed, this may be something only I “hear.” A concept only important to me. And there are enough hurdles and “things” to think about already in writing—I certainly don’t want to build artificial new ones. But bringing music to your writing is something to think about—especially for those of you who can tell C from D, and a flat from a sharp when you’re singing all those lovely Christmas Carols! If you have a thought/insight into what I’ve dubbed “literary-lyricism,” and would like to share, I’d love to hear your comments. Happy writing trails throughout the holidays! “Monotone— a continuing sound, especially of someone’s voice, that is unchanging in pitch and without intonation…(of a voice or other sound) unchanging in pitch; without intonation or expressiveness. Often, before diving into a scrumptious feast, the host of a Thanksgiving celebration will ask her guests to pause and answer this question. I could ask that question here too, but I’d like to do something different. We are writers after all, and presumably you readers scribble a few things down now and then as well. So instead of that question…. I’d like to challenge you to take one (or more) of the facts or prompts below and think up a brief scenario, or outline, of a fiction story you could develop from them. Write an “elevator pitch” in the comments below. Who knows, you may be able to use it later in a novel, or short story, or as an anecdote in your memoir. Parents frustrated by a teenager’s lack of gratitude, determine that THIS Thanksgiving, she will be taught a lesson…. Aw, go on! Try at least one! Recently I have been writing short stories for children about missionary life in Malawi, Africa, based on my 3 excursions to the dark continent over the past few years. Stop by and read a few if you are interested. http://www.jackiehouchin.wordpress.com . Okay, I’ll say it. Christmas isn’t just for kids. They might have all the fun Christmas morning, but it took a lot of effort to make it happen. Santa brings a lot of those toys, but good old mom and dad put a few of them under the tree, too. And then there are the clerks in the stores who sold the toys and the folks in the factories who made some of them. Santa’s elves might make their share, but lots of others work hard all year to design new toys and get them on the shelves. And then there are the decorations. Kids make a few cute things in school, but adults make an awful lot of those beautiful things and they put up the tree and string the lights and decorate the outside of the house and bake the cookies and pies and Christmas dinner. Then lots of adults step back, exhausted after all that work, and spend some time enjoying the holidays, too. And what better way than to watch one of the Christmas classics on TV with the family, though most of the older holiday movies were really made for adults. A kid wouldn’t understand how Jimmy Stewart’s character in It’s a Wonderful Life was taken under the wing of Clarence the Angel and shown what the world would be like without him ever being in it. Or how about A Christmas Carol? Kids might like the Ghost of Christmas Past and Present and maybe even the Ghost of Christmas Yet to Come, but it will take a while before they understand what the story means on a more adult level. But that’s the gift these movies and stories are: A gift that keeps on giving as you grow older and start to understand the deeper meaning of each story every time you watch it. Some modern stories are purely fun with not much meaning lurking anywhere or even any holiday spirit. In fact, many might as well be straight comedies because there is nothing Christmas about them. Even the holiday favorite, A Christmas Story, could just as well been about a boy’s birthday wish to get that Red Ryder BB Gun. Christmas was only in the title. But most of us watch these movies and enjoy the season year after year. We check out the Christmas lights in the neighborhood and write our holiday cards and revel in the aromas of an evergreen tree, baked goods, and the holiday feast.As for me, I have been a collector of Christmas things for some forty years. My collection of Santas is nearing 4000. It takes me two weeks to decorate the house. We put up seventeen trees and those are the ones above 12 inches high. I have doll houses with smaller trees in them, some only a few inches tall, all decorated, so the number is way above that seventeen mark. Since I like to make things, I have quite a few handcrafted Santas. I have been crafting for years. Other than the fact we are running out of space to house these guys and a few other things that I have made, my imagination leads me into other areas. What areas you ask? Writing holiday stories, of course. The books include pictures of things that I have made and they also include the True Meaning of Christmas in the stories. The first Christmas book that uses pictures of many of the things I have made is called Bearnard’s Christmas. I got the idea for it when I worked in a miniature shop that sold doll houses. I sketched out a design for a Santa castle, wrote the story, and then built the castle and made the figures to go with the story. It’s about a lady who loves animals and who falls asleep near her Christmas tree only to wake up at the North Pole. She meets a talking Polar bear dressed in a Santa suit. His name is Bearnard. He works for Santa. Some people want to capture him and stuff him and put him in a carnival attraction. They might just get their chance if a miracle doesn’t happen. The newest book is called The Santa Claus Machine. I got the idea from a Christmas card. In order to modernize his image, Santa builds a series of Santa robots that are sent to stores around the world. They are programmed to tell Santa’s stories and record children’s wishes. An unscrupulous sales manager at the largest department store chain in America, along with their computer engineer, kidnap the real Santa and hide him in an ice cave. They reprogram all the Santa Claus Machines to encourage children to ask for more and more toys. When Santa learns about the change, he becomes disheartened and thinks he might have to cancel Christmas. Each story is set during the holidays for sure, but each has a deeper meaning: something seen with the heart and the soul. And I have been working on a new story for next year. The idea came when I bought a Christmas ornament, a small dragon. I found a tiny wreath on the sidewalk while walking one of the dogs and slipped it over the dragon’s head. Then I set him on the roof of the Santa castle and said, “Every Castle Needs a Dragon.” That’s the name of the book. I bet you don’t know that dragons are the protectors of something very precious in the world. If they have the wrong champion, they can go astray and do great damage, but if they are taught well, they do nothing but good. Now someone wants to capture this one particular dragon… You will get to read the rest of the story next Christmas. Enjoy the coming Holiday Season. See it with your heart and your soul. It costs nothing and gives back so much. 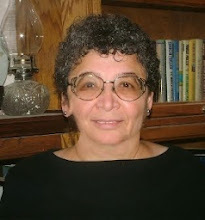 A former private detective and once a reporter for a small weekly newspaper, Gayle Bartos-Pool (G.B. Pool) writes the Johnny Casino Casebook Series and the Gin Caulfield P.I. Mysteries. 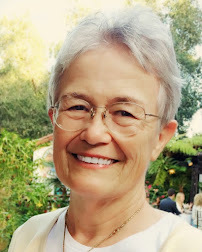 She also wrote the SPYGAME Trilogy: The Odd Man, Dry Bones, and Star Power; Caverns, Eddie Buick’s Last Case, The Santa Claus Singer, Bearnard’s Christmas and The Santa Claus Machine. 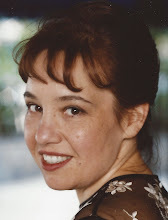 She teaches writing classes: “The Anatomy of a Short Story” (which is also in workbook form), “How to Write Convincing Dialogue” and “How to Write a Killer Opening.” Website: http://www.gbpool.com. 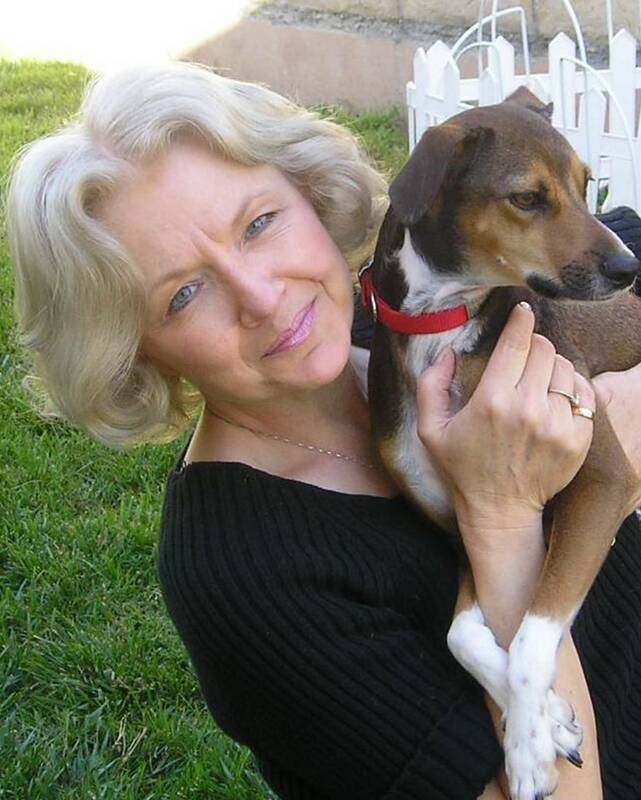 Bonnie Schroeder started telling stories in the Fifth Grade and never stopped. 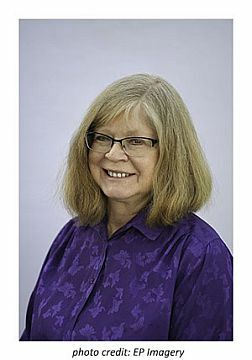 After escaping from the business world, she began writing full-time and has authored novels, short stories and screenplays, as well as non-fiction articles and a newsletter for an American Red Cross chapter. I come from a family of quitters. Sort of. Several generations ago, my family owned a farm in northern New Mexico, in the Four Corners area. Now, anyone who’s ever lived on a farm knows it’s hard work. There are no vacations, holidays, or sick leave. It’s dangerous work, and you’re always at the mercy of Mother Nature. I heard that story from the time I was a little kid, and it haunted me. So when I became a writer, I swore I would never give up or give in to discouragement. I would become a published writer. Life intervened in unexpected ways, and I had to put my dreams on the back burner for a while, but I never abandoned them. I kept writing, if only in stolen moments on a commuter van traveling to and from my job. I finally finished a novel, and I even found an agent. Yay! Mission accomplished! Ooops, not really. My agent was very determined; she got me rejected by all the big publishing houses, until a junior editor at the now-defunct Zebra Books took a liking to the novel. We talked, she suggested a few changes, and I was almost done revising when my agent called. The junior editor’s boss overruled her. No publishing deal. My agent briskly told me to write another novel— “a mystery this time.” I did. She read it and dismissed it, telling me “that theme isn’t selling right now.” And she gave up on me. But I didn’t give up. I wrote another novel, and after years of workshops and revisions, I began sending it to agents and to publishers who took unagented work. I sent 167 query letters over six years before luck landed me at Champlain Avenue Books (well, luck and my friend MM Gornell, a fellow member of this blog.) And after all that time and all that angst, before I could even catch my breath, Mending Dreams came into being—and into bookstores. I was tempted a lot of times to give up, but that family story stuck with me, and I didn’t want to be the one who walked away and let someone else reap the benefits. You hear all kinds of slogans on this subject: “Winners never quit; quitters never win.” But in my case the slogan took tangible form, and I’m here to tell you that you CAN achieve your dreams, if only you keep trying. Sometimes just hanging on for that extra day, that extra mile, that extra page—it can make all the difference. I’m putting my words to the test again, working on a new novel—the most challenging one yet. But it’s easier to keep going now, because I know I can do it, and I know that I have to. Have you ever been tempted to quit writing because it can be so hard and sometimes so discouraging? Did you persist? How did you motivate yourself to keep going? Where do you escape to when it all gets too much? When that sleep that you really, really need alludes you? For those stressed with over-work, with family or money worries or health problems – a respite is definitely needed. Other than flying away from it all and off to an exotic desert island, what are we ordinary mortals supposed to do? I have discovered my best escape is found between the pages of a book. I guess I have always escaped into the magical world of stories. I have been reading all my life. My brother, Phil, reminded me that I started my own library – ‘The Leafy Way Public Library’ – in my bedroom as a small child. I had a little rubber stamp that imprinted the logo in my books. Phil remembers my issuing him with a library ticket that I date-stamped to take out books! My ‘library’ included the different Enid Blyton mystery series, The Famous Five, The Secret Seven and the Mary Mouse tales. Phil was not interested in the more girlie books that I loved: the Pamela Brown adventures about theatre life: The Swish of the Curtain, Blue Door Ventures and Golden Pavements – or Noel Streatfield’s Ballet Shoes and the Dancing Shoes series. Even at that very young age I found an escape into these magical books. I even wrote my own first book, Make Believe Mondays, when I was ten – carefully handwritten, with an orange, pencil- illustrated cover. I wrote it for my brother Phil, I recall! The love of books clearly stayed with me throughout my growing up. I know I have written before about these books that colored my life. Books have always been a wonderful escape for me. But I think this is true for most of us writers. I know that with my fellow bloggers we often talk about the books that we lose ourselves in. Reading is truly a wonderful way of retreating from the woes that life sometimes presents. Even if it is a snatched fifteen minutes on a train or bus ride to work, or a quick read on a short coffee-break. What a relief to vanish from today’s world, for a glimpse into someone else’s fictional world. And in the middle of the night, instead of tossing and turning and sheep-counting – reach for a book. I do. I currently have a favorite Rhys Bowen novel about Molly Murphy in the turn-of-the-century New York mystery series. In a different mood, I will re-read Rosamund Pilcher’s The Shell Seekers, a Maeve Binchy novel, a Marcia Willet story, one of Carol Drinkwater’s books set in the South of France, or Victoria Hislop’s The Island and her other Mediterranean-set novels. I just love anything set in the sunny Mediterranean. No rush-hour traffic jams, no screaming police sirens, angry crowds pushing and shoving. Just gentle walks though olive grows, planning delicious simple meals, folk watching the tides come in and go out again under breath-taking sunsets. What’s not to like? Although my all-time favorite remains the childhood classic, Heidi, by Johanna Spyri, about the little girl who goes to live with her grandfather in the Swiss mountains. Some years ago I learned to refocus my mind while in the dentist’s dreaded chair – and would whisk myself off to that Swiss mountain side with Heidi and her goat-herd friend Peter. As a writer, I love to think that someone else might lose themselves in a story that I have created. I write about another world I like to lose myself in: Lottie Topaz’s discovery of Hollywood in the 1920s. It’s quite exhilarating to inhabit this other reality. As we lose ourselves in someone else’s stories, one forgets – for a while – the troubles and stresses that surround us. So the next time that bedroom clock relentlessly blinks 3:30 am at you, and you find yourself start back at number one with your counting sheep, reach for a book instead – a gentle, charming story. Nothing too violent or thought-provoking. Just a beautiful, exotic island of words, with a gentle breeze blowing across the pages and the scent of tropical flowers to lull you into that other realm that will take you out of yourself for a while. Sleep then comes more easily when you leave reality behind. To sleep – perchance to dream – of inhabiting the world of your favorite books… written by your favorite authors…. The author of Best Selling non-fiction Hollywood Then and Now and Los Angeles Then and Now, English born ROSEMARY LORD has lived in Hollywood for over 25 years. As an actress, her credits include Monty Python, Rivals of Sherlock Holmes, Days of Our Lives, L.A. Heat and more. She did voice-work on Titanic, Star Trek, Shakespeare In Love, The Holiday and Pirates of the Caribbean amongst many others. 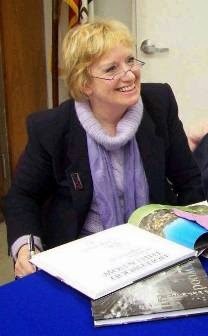 A former journalist, she is published in many magazines such as Woman’s Journal, Atlantic Review, Woman, Films & Filming, Jackie, Field newspapers and more in the UK, USA and Australia, where she wrote about Hollywood’s Golden Age, interviewing such luminaries as Cary Grant, James Stewart, Tony Hopkins, John Huston. She was a Senior Publicist at Columbia Pictures. Rosemary lectures on Hollywood history and is the Historian of the Woman’s Club of Hollywood. She is a member of MWA, Sisters-in-Crime, SAG, BAFTA and contributes to The Writers In Residence Blog. Her first mystery novel Lottie Topaz and the Flicker Murders… is set in the 1920s Jazz Age Hollywood featuring Lottie Topaz, an extra in silent movies.